Hilary was invited to take part in opening of the new City Library, in Centenary Square in Bradford. Pictured with two enthusiastic library supporters, Naila and her son Musa. The composer, Adrian Munsey, has composed a suite for four movements based on Hilary’s as yet unpublished story, Misty, The Story Of A Rocking Horse. Just released on his new album – Full Circle. Demand for Mixed Up Nursery Rhymes has been so high it’s been reprinted after just one month and now rights to Mixed Up Fairy Tales have been sold by Hodder Children’s Books to the USA. Sterling Publishing, an imprint of Barnes and Noble have acquired the rights to this title which has now sold over 100,000 copies. 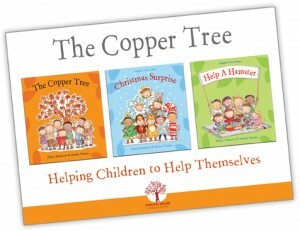 It has just been announced that the foreign rights to all three books in the Copper Tree Class series have been sold to South Korea by Morag O’Brien at Ed Victor Ltd.
Hilary was delighted to present certificates to Children’s University graduates in Lambeth a few weeks ago. More information here. Hilary is one of the most borrowed authors from UK libraries according to figures for 2011/12 recently released by the Public Lending Rights Office. The full list can be found on the Guardian website. 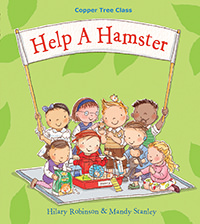 Help A Hamster is recommended in The Bookseller’s Autumn Children’s Buyer Guide. 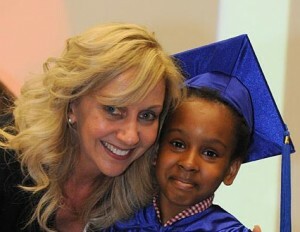 A touching and insightful story that helps children understand more about adoption. 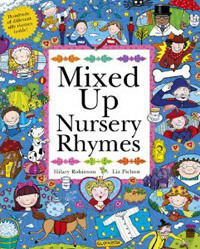 Julia Eccleshare of The Guardian selects Mixed Up Nursery Rhymes as a top choice for summer reading! 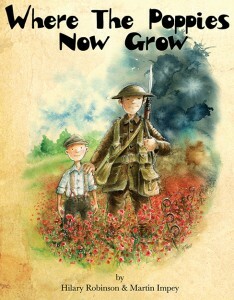 Hilary’s illustrator, Martin Impey has just released the cover for their book which will be published early next year to mark the anniversary of the start of the First World War. Both Hilary and Martin lost great uncles at the Somme. ‘Where The Poppies Now Grow’ will be dedicated to their memory. Mixed Up Nursery Rhymes – the sequel to the best selling Mixed Up Fairy Tales is out this week in paperback! A long awaited sequel to the brilliant Mixed Up Fairy Tales. Interactive split pages allow children to create their own versions of favourite rhymes. Ingenious, imaginative fun.